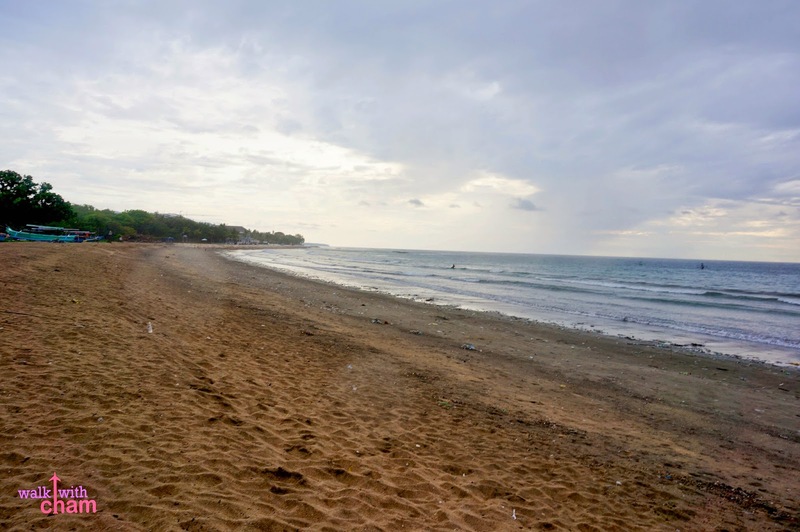 Bali is known for their famous beaches and although I read that the beaches in Bali are incomparable to ours (we have better) we spent most of our third and last day at the shores of Bali. Thank God it didn't rain! 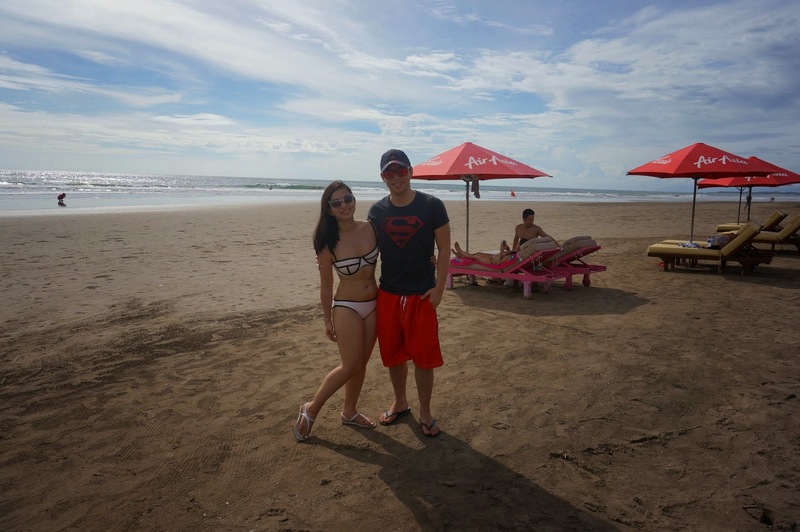 After visiting Batu Bolong Temple, our group decided to stay at Seminyak Beach as they heard that it's beautiful, clean and has fine sand. The three kilometer stretch beach is more for the affluent tourists because of its well-known bars, cafes, restaurants and quite a good number of luxury hotels. Since the group wanted a serene environment, we went to a spot that is less crowded, away from the bars. 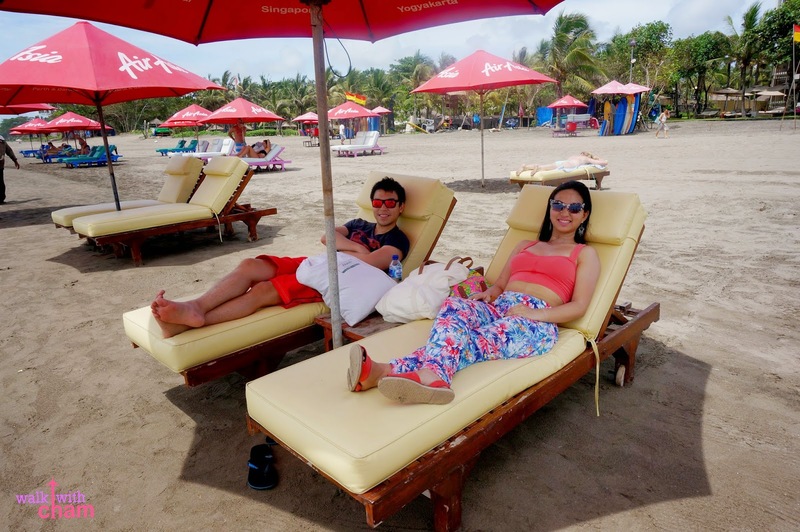 We rented two beach lounge chairs and umbrellas for Rp 50,000 (P175) each and stayed here the whole afternoon. 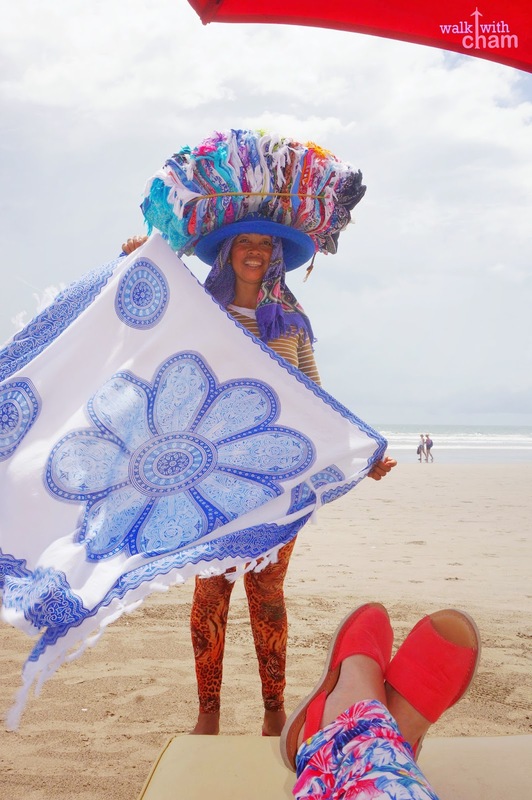 We were greeted by local vendors selling beach essentials. But before dipping we had lunch at a colorful restaurant just in front of the beach. 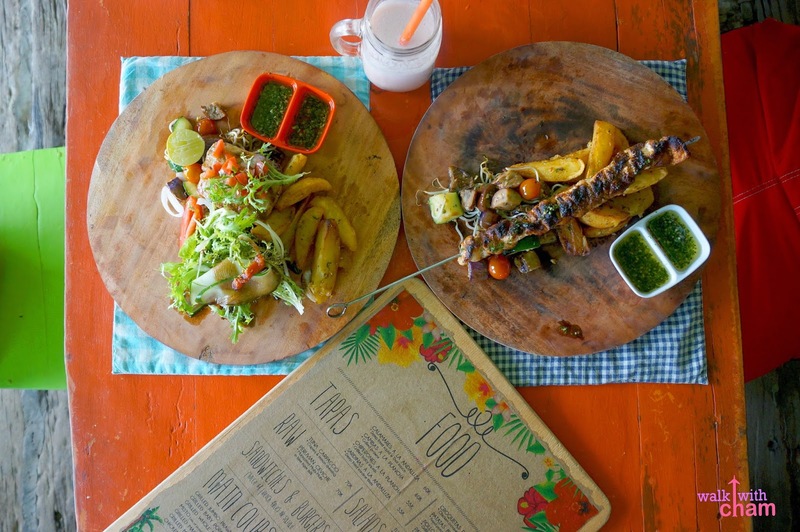 You can find a strip of restaurants around Seminyak. So after a hefty lunch, we went straight back to our spot and changed to our beach clothes. 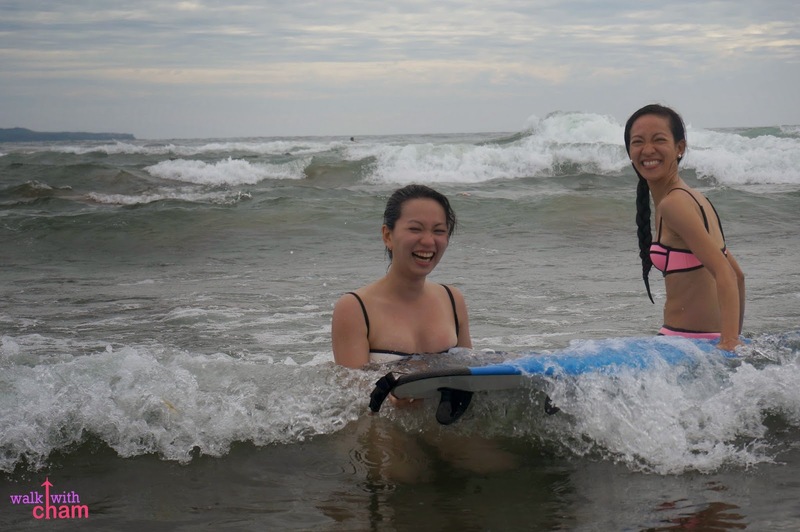 I was eager to try surfing since Bali is famous for having the best surf spots. I tried it in Baler with a guide but this time there was none kaya naman it was so hard to get on the board. Fail. 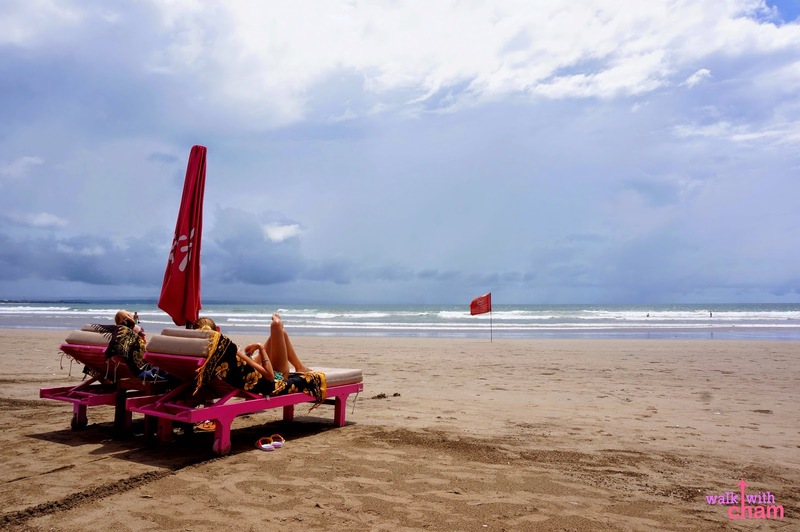 After spending hours at Seminyak we asked our driver to drop us off at Kuta Beach. 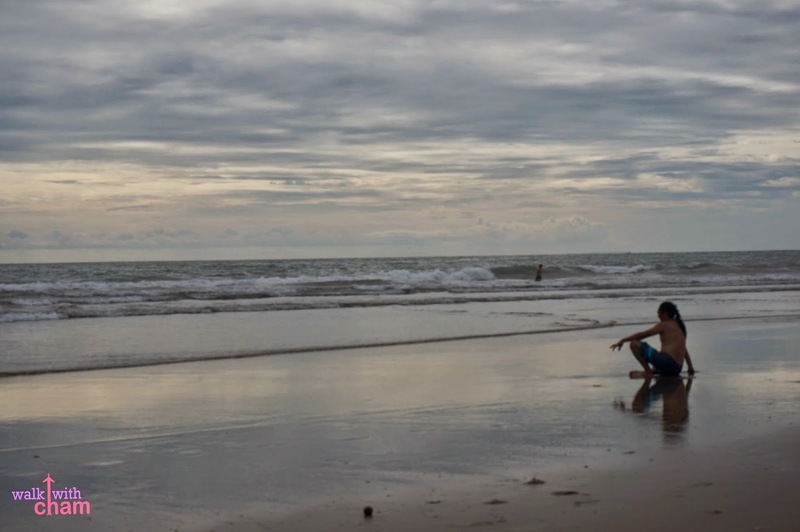 It is said to be the most famous of all the beaches in Bali that's why Kuya was so eager to jump on the sand and experience the saltwater of Kuta but we were quite surprised with what we saw. It was a total disappointment. 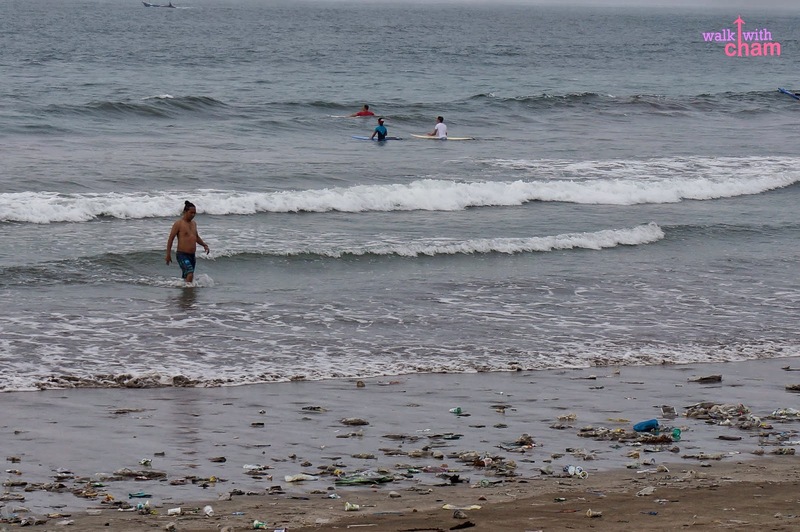 The shore was filled with garbage and the sand was not stunning as seen on pictures above. Good thing we spent most of our time at Seminyak. And can I just say that I'm so proud of the Philippines for having the most amazing beaches that we can truly be proud of.